On Dec. 10 at 5:39 p.m., Alaska State Troopers responded to a two-vehicle collision on Miller Loop in Nikiski. Investigation revealed that Sara Benfer, 25, of Kenai, was driving her Nissan Pathfinder when she collided with a Chevy Impala. driven by Randall Jones, 35, of Kenai. Both drivers suffered non-life-threatening injuries. Both reported wearing seat belts. The cause of the collision is still under investigation. 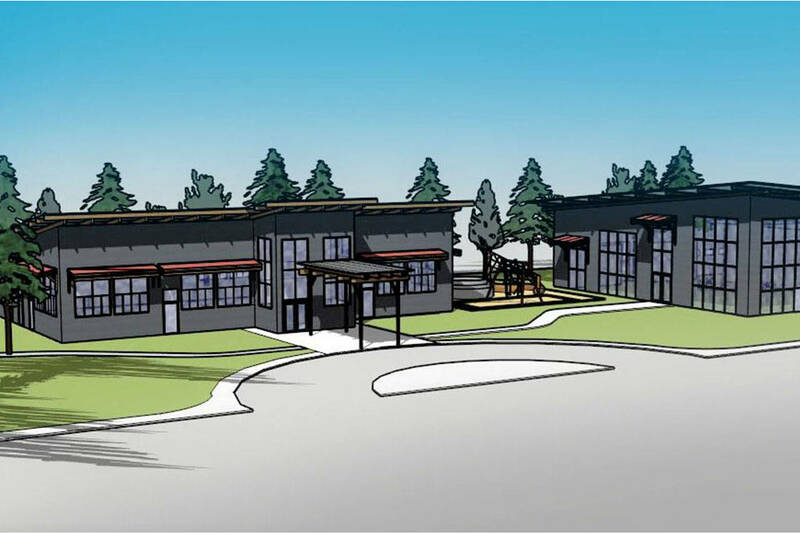 On Dec. 11, Alaska State Troopers received a report of theft from the Trinity Christian Center in Soldotna. It was reported that a spool of underground wire was stolen from the construction site. The wire is valued at $300. Anyone with information is asked to call the Alaska State Troopers at 262-4453. The investigation is continuing. At 6:28 PM, Kenai Dispatch received a non-emergency call reporting the front window of a local business near mile 11 of the Kenai Spur Hwy had been broken out and a female was standing nearby. Police responded to the scene and contacted the female, later identified as Holley L. Reed, age 30 of Kenai. Reed was placed under arrest and transported to Wildwood Pretrial for Criminal Mischief III, Attempted Burglary II and Violating Conditions of Release. On Dec. 11 at 12:56 p.m., Soldotna Dispatch received a report from the Soldotna DMV that Edward Schaefer, 26, of Kenai, had an outstanding warrant for a driving under the influence in Palmer, with no bail. Schaefer was arrested and taken to Wildwood Pretrial Facility. On Dec. 7 at 8:34 a.m., a 70-year-old male, of Seward, reported a theft from his residence in Seward. Investigation revealed that an unknown person(s) entered an outbuilding between Oct. 9 and Dec. 6 and stole a blue Bosch table saw, valued at about $600. Investigation continues. Anyone with information is encouraged to contact the Alaska State Troopers at 907-262-4453. On Dec. 13 at 1:36 a.m., Soldotna based Alaska State Troopers conducted a traffic stop in Kenai on a white 2009 Scion for an equipment violation. After investigation, Christian See, 50, of Kenai,was arrested for driving under the influence of alcohol and taken to Wildwood Pretrial Facility. As a result of a commercial fishing investigation, on Dec. 6, Faliley Kuzmin, 25, of Homer, of the F/V Impact, was issued a mandatory court appearance citation for retaining Cook Inlet lingcod during closed season. The Cook Inlet lingcod fishery was closed by emergency order on Nov. 11. The violation carries a maximum fine of $3,000. 53 pounds of lingcod fillets were seized. As a result of a commercial fishing investigation, on Dec. 6, Avraamy Reutov, 29, of Homer, of the F/V Recovery, was issued a mandatory court appearance citation for retaining Cook Inlet lingcod during closed season. The Cook Inlet lingcod fishery was closed by emergency order on Nov. 11. The violation carries a maximum fine of $3,000. 110 pounds of lingcod fillets were seized. On Dec. 13 at 10:37 a.m., Alaska State Troopers responded to a residence on Exit Road in Soldotna for an investigation, which revealed that Oscar C. Nelund, 31, of Soldotna, had two active arrest warrants. The first warrant was for failure to appear for arraignment on the original charges of driving under the influence and fourth-degree misconduct involving a controlled substance. The second was for failure to appear for trial call on original charges of fourth-degree assault, fourth-degree criminal mischief, and fourth-degree misconduct involving a controlled substance. Nelund was arrested on the warrants and taken to Wildwood Pretrial Facility on $500 bail. 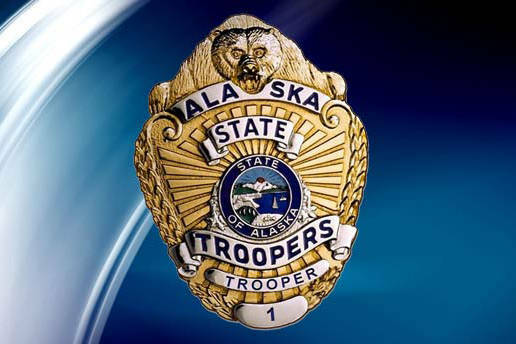 On Dec. 13 at 11:53 a.m., Alaska State Troopers conducted a traffic stop on the Kenai Spur Highway near Nikiski Village in Nikiski. Investigation revealed that passenger David Pallas, 38, of Nikiski, had two active warrants. The first warrant was for failure to appear for omnibus hearing on original charges of first-degree vehicle theft, tampering with physical evidence, first-degree criminal mischief, and fifth-degree criminal mischief. The second was for violating conditions of release. Pallas was arrested and taken to Wildwood Pretrial without bail. On Dec. 13 at 3:43 p.m., Alaska State Troopers were dispatched to a business in Sterling for a report of an assault. Investigation revealed that Michael P. Robinson, 44, of Sterling, had assaulted a person. Further investigation revealed that Robinson had two active arrest warrants. Robinson was arrested for two counts of fourth-degree assault and the active warrants and was taken to Wildwood Pretrial without bail. On Dec. 14 at about 12:20 a.m., Soldotna based Alaska State Troopers responded to a disturbance in a home in the Soldotna area. Ronny Burk, 42, of Soldotna, was contacted inside the home. Investigation revealed there had been an altercation within the residence, which resulted in Burk being arrested for fourth-degree assault (domestic violence). Burk was taken to Wildwood Pretrial Facility and held without bail. On Dec. 13 at 4:18 a.m., Alaska State Troopers received a report of a disturbance in the area of Salmon Creek Road in Seward. Investigation into the disturbance resulted in the arrest of Emory Evern, 42, of Seward, for a domestic violence related fourth-degree assault. Evern was taken to the Seward Jail and held without bail. On Dec. 13 at 9:04 p.m., Alaska State Troopers responded to a business in Ninilchik on the report of a disturbance. The investigation revealed that Ramonne Kirksey, 38, of Ninilchik, a convicted felon, had stalked a female while in possession of a concealable firearm, had assaulted this and another female, and had attempted to use the firearm to assault a male on scene. No injuries were reported. Subsequent to the investigation, Kirksey was arrested and taken to Wildwood Pretrial and held without bail on charges of attempted first-degree assault, third-degree assault, domestic violence first-degree stalking, domestic violence second-degree stalking, third-degree misconduct involving weapons, domestic violence fourth-degree assault, and fourth-degree assault. On Dec. 15 at 11:08 a.j., Hunter Thompson, 19, of Soldotna, contacted Dispatch and reported that he was on Camp Island Lake and had injured his knee and could not walk out. He was about two miles from the truck on Swanson River Road. Troopers and Emergency Medical Services responded to the location by foot and snowmachine. Life Med responded and took Thompson to Central Peninsula Hospital for treatment. On Dec. 16 at 2:31 a.m., Alaska State Troopers responded to the Duck Inn in Soldotna on the report of a disturbance, where Adora Johnston, 29, of Soldotna, was contacted. After investigation, Johnston was arrested and taken to Wildwood Pretrial Facility on charges of access of drunken person on licensed premises, driving under the influence, and refusal to submit to a chemical test. On Dec. 14 at 7:27 p.m., Alaska State Troopers responded to a motor vehicle collision across from Big John’s Gas Station on the Sterling Highway. Investigation revealed that it was a three-vehicle accident with no injuries. Parties involved included Mayra Rios-Garcia, 38, of Soldotna, Heidi Perkins, 22, of Soldotna, and Caleb Humphrey, 33, of North pole. The accident involved a 2001 black Chevrolet truck, a 2003 Subaru Forester and a 2013 black Acura. Alcohol was not contributing factor in the accident. On Dec. 15 at about 10:30 p.m., Soldotna based Alaska State Troopers were investigating suspicious activity at a business on Kalifornsky Beach Road near Kenai and contacted Matthew Luke, 21, of Kenai. Investigation revealed that Luke had a suspended license. During the investigation, Luke provided troopers with a false name, because he had driven to the business on his suspended license. Luke was arrested for providing false information to police and was taken to Wildwood Pretrial Facility. On Dec. 16 at 12:39 p.m., Alaska State Troopers responded to Mile 57 of the Seward Highway for a reported single-vehicle collision. Investigation revealed that Roberta L. Hildebrandt, 57, of Anchorage, was traveling northbound in her red Dodge Ram pickup, when she lost control, crossed left of center, and struck the northbound guardrail, causing damage to the vehicle. Hildebrandt reported that she were uninjured. Hildebrandt’s vehicle suffered disabling damage and was towed from the scene by AK Towing and Wrecking. Alcohol is not believed to have been a factor in this crash, and Hildebrandt reported that she was wearing her seat belt at the time of the collision. On Dec. 16 at about 5:40 p.m., Alaska State Troopers responded to Mile 45 of the Sterling Highway for a reported single-vehicle collision. Investigation revealed that Mary E. Barry, 60, of Soldotna, was traveling southbound in her gold 2003 Ford Explorer, when she lost control, crossed left of center and entered the northbound ditch, causing the vehicle to roll over. Barry and her passengers reported that they were uninjured. Barry’s vehicle suffered disabling damage and was towed from the scene by B&D Towing. Alcohol is not believed to have been a factor in this crash, and all involved parties reported that they were wearing their seat belts at the time of the collision. Ninilchik, on an outstanding bench warrant. Brake was contacted after troopers saw him driving a vehicle and knew he had a warrant. The warrant was for failing to appear for trial call, with bail set at $100. Brake was taken to the Homer Jail. On Dec. 16 at 2:15 p.m., Alaska State Troopers arrested Jason Hodges, 42, of Homer, on an outstanding arrest warrant. Hodges was contacted after troopers saw him parked in a vehicle on the spit and knew he had a warrant. The warrant was for two counts of fourth-degree assault, with a bail of remand pending arraignment. Hodges was taken to the Homer Jail. On Dec. 15 at 12:19 p.m., Kenai police contacted Danielle M. Busby, 30, of Kenai. State records showed two outstanding Soldotna Alaska State Troopers misdemeanor warrants, one $50 warrant on the original charge of fourth-degree theft, bail case appearance, and the second a Soldotna Alaska State Troopers $250 warrant for fourth-degree theft. Busby was taken to Wildwood Pretrial Facility. On Dec. 15 at 6:32 a.m., Kenai police responded to a local business to a report of shoplifting. Officers arrived and contacted the suspect, Joseph Chikoyak, 44, of Kenai. After investigation, Chikoyak was arrested for third-degree theft and second-degree criminal trespass and taken to Wildwood Pretrial. On Dec. 14 at 2:53 p.m., Kenai police responded to a local business to a report of a theft in progress. Officer arrived and contacted the parties involved. After investigation, Laura McKenna, 28, of Sterling, was arrested for fourth-degree theft and second-degree criminal trespass and taken to Wildwood Pretrial. On Dec. 14 at 9:42 p.m., Kenai police received a report of trespassing at a local business on South Willow Street. Officers arrived and contacted James H. Duncan, 54, of Kenai. Records indicated Duncan has been issued a trespass warning for the business. Duncan was issued a summons for second-degree criminal trespass and released at the scene. On Dec. 13 at 5:37 a.m., Kenai Dispatch received multiple 911 calls reporting that a vehicle had collided with a light pole near Mile 11 of the Kenai Spur Highway. Police responded to the scene and contacted the sole occupant, Peter R. Imgalrea, 24, of Soldotna. After investigation, Imgalrea was arrested for driving under the influence and taken to Wildwood Pretrial. On Dec. 17 at 9:11 a.m., Soldotna Alaska State Troopers responded to Mile 124 of the Sterling Highway to a report of a vehicle rollover. Upon arrival, the driver was identified as Nikolai Yakunin, 63, of Nikolaevsk. Yakunin was traveling northbound near Mile 124 of the Sterling Highway when he attempted to pass a slower moving vehicle. Yakunin lost control of his son’s 2011 Dodge Truck and slid off the roadway into an embankment, causing the vehicle to roll several times. Yakunin had two passengers in the vehicle, one of which sustained minor injuries and had to be treated on scene by medics. All occupants reported to be wearing their seat belts. The vehicle was recovered by Sarge’s Towing.